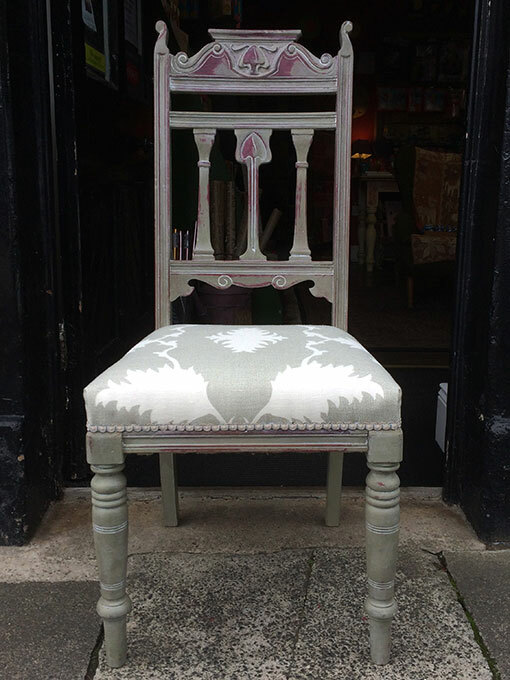 Learn traditional upholstery skills using traditional materials. Techniques include preparing foundations of webbing, installing springs, shape building, fabric cutting and sewing skills. Bring your own small, light piece of furniture and fabric for covering. All abilities welcome. Cost per workshop: £90 including a £30 deposit on booking (max 3 persons). All upholstery materials, lunch and refreshments provided. For more information, or to join our waiting list for future workshops, please email us or phone Delight & Wisdom on 01434 632818.